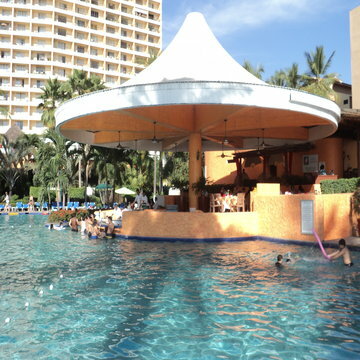 There are a multitude of all inclusive Puerto Vallarta resorts scattered all along Banderas Bay. These properties specialize in catering to the majority of services and amenities required by travelers on their trips or vacations. For example, most all inclusive vacation packages will include in the price: round trip flight tickets, hotel accommodations, meals, snacks, drinks, shows, activities, taxes and gratuities for the entire length of stay. Please keep in mind that these "inclusives" are only valid at the particular resort that you are staying at. 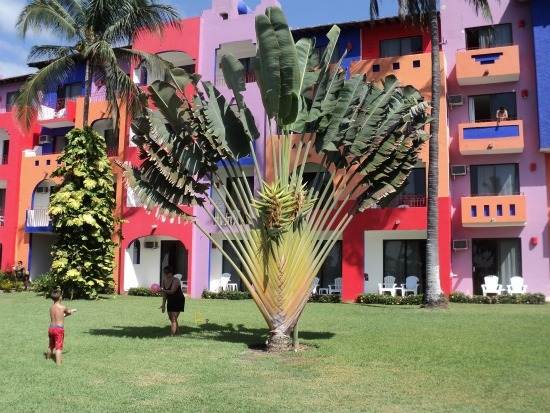 Once you leave the property to start exploring Puerto Vallarta, you will have to open up your pocketbook. Vacation packages can vary substantially in price depending on several factors including time of season, location, amenities offered, reputation of resort and so on. It is always a good idea to compare rates with several different travel agencies to get the absolute best deal. If you are looking for recommendations, two of our favorites are Expedia and CheapOair. Both of these online travel sites offer excellent customer service, very low competitive rates and numerous packages to choose from. 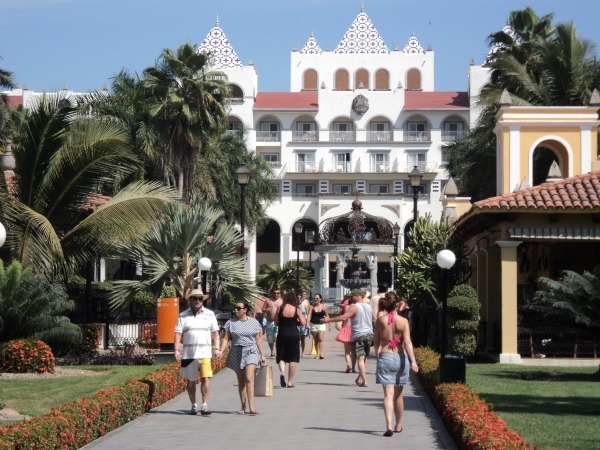 The nice thing about Puerto Vallarta is that they offer all inclusive resorts geared specifically for both families and adults only. Family resorts usually have a kids club, games and lots of activities to keep the little ones entertained. 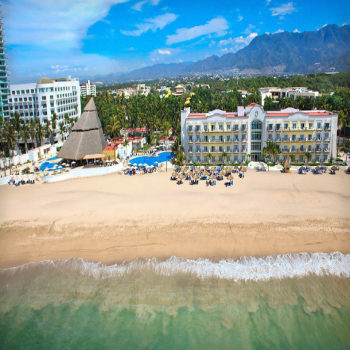 The Melia Puerto Vallarta and the Rui Resorts are excellent choices for families. If you are traveling with teenagers then you need to find a resort with plenty of activities for them. The Crown Paradise has a great Teen's Club. Now for those of you who are looking for upscale and luxurious all inclusive Puerto Vallarta accommodations, Club Velas Vallarta, the brand new Hilton and Dreams Puerto Vallarta are considered by many to be in a class of their own. If you plan on traveling without children, are seeking a romantic getaway or just looking for a more quieter and peaceful setting then choose an all inclusive Puerto Vallarta resort that is for adults only. For even more all inclusive properties located in Puerto Vallarta, click on one of the resort photos below for more information. Are you looking for a non all inclusive hotel? Please remember to check back often as we update this page and find more great resorts to tell you about.